Ideally located between chaweng and Lamai, in a quite coconut grove, we are only 400 meters away from Chaweng Noi white sandy beach (beach club "The Beach"), 3 min drive to Coral Cove and 5 min to Crystal Bay / Silver Beach. and 4 very comfortable two bedrooms Villas nested in a wonderful quiet tropical garden where you will relax surrounded by nature. Our cosy swimming pool / jacuzzi are reserved to our customers. Discover a different Samui ! 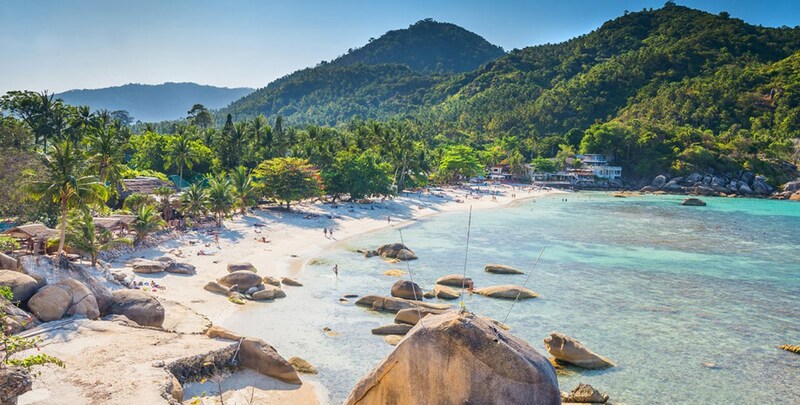 The French owners, Odile and Jean-Luc, fell in love with Asia and more particularly this part of Thailand: Koh Samui and the surrounding islands. They will welcome you in their peacefull resort and provide you with information on secret / off-beaten-tracks places to visit on the island, and the best activities around. The family-run restaurant proposes delicious savoury Thaï / Burmese / European specialties. You will relax at our Cocktail Bar / Lounge area after exciting tours around the island. 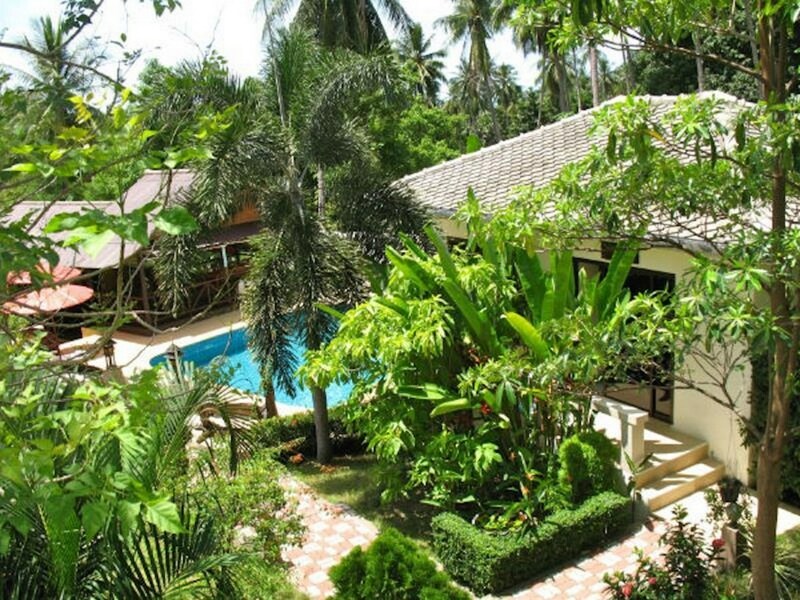 Whether you only have a few days or are planning a longer stay, Baan Sukreep Resort is the ideal location for your visit to Koh Samui. You will enjoy the peaceful and relaxing atmosphere of being close to the sea yet conveniently located near the exciting night life of Chaweng and Lamai. Motorbike / car rental services available.